Dear Scott, my girlfriend is an amazing Christian woman who had a bit of a past. I’m fighting with constant jealousy. How can I stop being jealous? Jealousy definitely will drive a wedge in your relationship, and it needs to be dealt with, otherwise you will have regular problems. There are two types of jealousy, justified and unjustified. God has great jealousy – “for you shall not worship any other god, for the LORD, whose name is Jealous, is a jealous God” – Exodus 34:14. 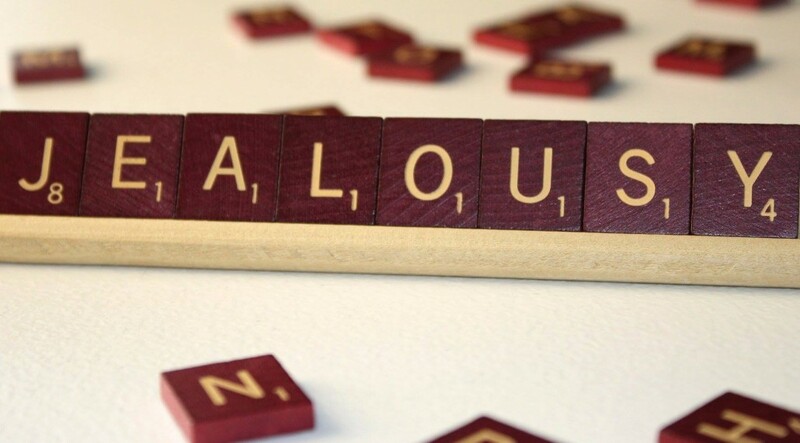 Justified jealousy is when the person you love is doing things that warrant jealousy, like flirting, not spending much time with you but spending time with others, talking about others the way they should be talking about you, etc. Here are some of the things I do to help prevent jealousy. I don’t spend time alone with other women, e.g. I don’t have business lunches alone with another woman. I don’t talk about how attractive other women are, because I don’t want my wife to feel like there is a competition. I purposely look away when attractive girls are in view, either in malls, on TV, wherever, which always lifts my wife’s spirit. I don’t talk about previous girlfriends, and avoid talking a lot about girls who are our friends. Remember, your goal is to make the person you are with to feel like a million bucks. If I didn’t do these things, my wife would easily be jealous, but it likely would be a justified jealousy. Jealousy doesn’t have to mean I have feelings for others, but it shows a lack of giving the perception of my wife being special, valued, unique. If a person’s partner does not do these type of things, sure you will be jealous. If that’s the case, you need to have a discussion, and talk about what is causing the jealousy, and work on avoiding what causes jealousy. But what if your partner is doing everything they can, and you still can’t get rid of your jealousy? What if the jealousy is unjustified? A huge reason for this is you may have a lack of self esteem, of confidence in yourself, or seeing yourself as valued. You don’t value yourself, so you can barely see how your partner would value you. You feel like you are not really good enough, that anyone could just come along and steal away your partner from you. Your partner has to show you that it is not a competition. And you have to trust your partner, because your partner has shown they are trustworthy, and dedicated to you. You may be jealous that, even though this partner is trustworthy, others in your past have violated your trust. They have hurt you, and they may have seen others behind your back – they were cheating on you. You have to realize this person you are with is different, and should not have to carry the sins of others from your past. It could be as a result from how others treat you or your partner. They may mock you, say you are not worthy, or they may try to steal your partner. This will always be the case. Your partner has to show you that you are special, and they have to convince you that others are ignored. So the bottom line is, to avoid jealousy, it takes work from both parties. Your girlfriend has to show you she is trustworthy, and dedicated. And you have to trust her and yourself. These are not easy things to do, but you both need to work hard at it, and you will find the peace and comfort in each other you need. Pray for her, and pray for yourself. God will work in your hearts and your circumstances in positive ways. Just watch. Trust Him! One of the most significant reasons why my wife and I do so well is regular prayer for our relationship over the years. It is a work of God. Scott Basham taught adult Sunday School for most of about 20 years, including to both married adults and college students. During that time he has had the opportunity to counsel many people, which helps as he provides counsel through BibleSprout. Scott has been married to Joy for 33 years, which has also helped in counseling other married couples. Scott now has 3 grown children, who all are strong Christians. Scott has worked in Information Technology with computer software, for over 35 years. https://www.biblesprout.com/wp-content/uploads/2014/10/1913295_10152361036507312_7553542468613633448_o.jpg 964 1740 Scott Basham https://www.biblesprout.com/wp-content/uploads/2014/01/biblesprout_logo4-300x137.png Scott Basham2014-10-24 14:09:172014-10-24 14:12:14How Can I Overcome Jealousy? Your so right in what you say thank you for teaching me something so basic but really understanding keep up your teaching and god bless you.